"Each morning, as we hum or chant or strum, we can celebrate the renewal of our path with our own humble offering of the glorious gift called music. 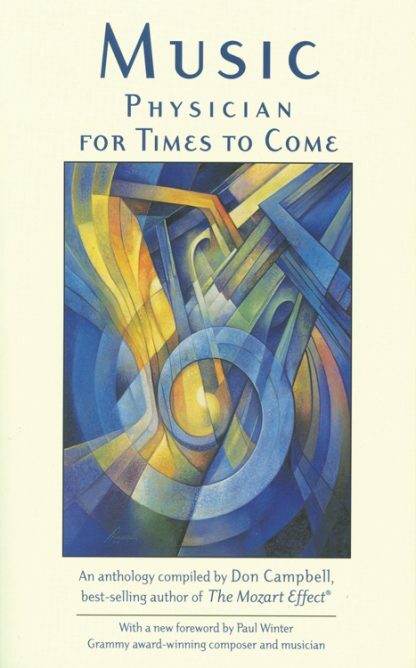 This book offers a panorama of ways music can nourish our lives." --Paul Winter, award-winning musician and composer. As ancient peoples knew, music profoundly affects body, mind, and spirit. It can speed recovery from disease, heal psychological wounds, and open us to the ultimate mystery of life. Celebrated author and educator Don Campbell presents an impressive anthology of essays exploring the latest scientific research about the healing use of sound in traditional cultures. Contributors include composers, musicians, and music therapists; doctors and psychologists; pioneers in neuroscience and biophysics; and teachers in diverse spiritual traditions. They address such fascinating topics as: Why chanting increases energy; The therapeutic use of sacred music; Gender differences in healing with sound; How sonic resonance positively affects heart rate and brain activity.